Many home owners are looking for products and gadgets in the market to help reduce their monthly household electricity consumption. One of the largest usages of power to cool a house is the air-conditioning system during summer times. Is there a way to cool a home without consuming large amount of electricity? As a matter of fact, there is, and you don’t even need to use any electricity at all! If you are looking for a device to cool your home without using power, consider the solar attic fan for a gable roof. This device has been in the market for quite a while but most people are not aware of its benefits. Solar attic fan installed on a gable type roof can really reduce your monthly power bill, especially during the hot summer months. The device serves two purposes, they help by getting rid of heat inside the attic by removing the hot air and also aids in circulating cooled air around the entire house. Because the motor used by the exhaust fan is powered by solar energy, you completely eliminate the use of electricity for the purpose of reducing the heat inside your house. That’s a cool idea, isn’t it? The most impressive feature of the solar attic fan is that it does not require a heavy duty solar panel. A small Photovoltaic (PV) panel which can generate approximately 10 watts of power is sufficient to operate the brushless motor. During hot summer seasons, one solar powered attic fan can help bring down the temperature of about 800 cubic feet of attic space. The total cubic feet of your attic space can be calculated by multiplying the width of the attic by its height and depth. In the presence of eaves or sloping roofs such as a gable design, you may have to calculate the additional cubic feet accordingly. A typical home with about 2,500 feet of built up area would require four solar attic fans installed on the roof to effectively bring down the room temperature. Most solar fans in the market are designed to be mounted on a gable roof while others can be installed only with shingles. With the help of a qualified contractor, you should be able to decide as to the specific type of solar attic fan that you should buy in order to derive maximum utility and long-lasting results. To get optimum cooling effect, insulating your house properly is very important as this can very often help maintain a cool feeling during summer. In particular, the attic should be properly insulated before installing the solar attic fans. One of the best ways to save money on a residential solar power system is to build your own solar panel to power your solar attic fan. If you are good with hand tools, you can make a Photovoltaic (PV) array for around $150. What you’ll need is a step by step instructional guide. 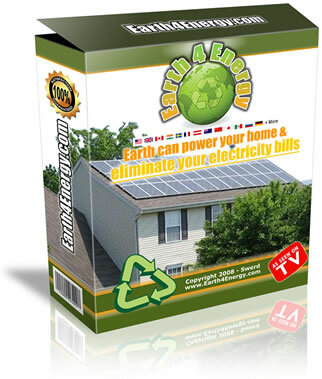 Read some of the Earth 4 Energy reviews and learn what the top selling DIY solar array ebook on the web has to offer. Also, remember to check out the Earth4Energy download page for more information. ==> Click here to visit Earth4Energy now! These kind of post are always inspiring and I prefer to read quality content so I’m happy to find many good point here in the post, writing is simply great, thank you for the post.